“Barrelled Bock” is a sweet and dark bock-style beer made with honey from Netherlands-based Braxzz brewery. Find out how it tastes plus get information about its ingredients, nutritional content (including sugar, carbs and calories) and UK stockists. Wind back a few years and the only alcohol-free beers available were lagers or wheat beers. Now there’s all sorts of styles on the market, including IPAs, stouts, dry-hopped lagers and sours. One producer that’s experimenting with multiple styles of alcohol-free beer is Netherlands-based Braxzz. It launched its brand with the world’s first alcohol-free porter and has gradually added several more styles to its core range including a tripel and three IPAs. “Barrelled Bock” is one of Braxzz’s seasonal brews, launched late last year. Traditionally a dark and medium-ABV lager using bottom-fermenting yeast, the bock style originated in Germany where monks would take advantage of its rich qualities to give themselves some nourishment in times of fasting. Modern bocks range in colour and are now made all over the world with many craft brewers taking them on. 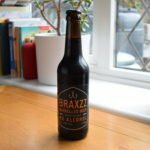 They’re particularly popular in the Netherlands, and the launch of Braxzz’s Barrelled Bock coincided with the Dutch bockbier season when many dark bocks – some top fermented with ale yeast – are ready for drinking. Bocks usually contains only barley malt, yeast and neutral hops that don’t add too much bitterness to the brew. 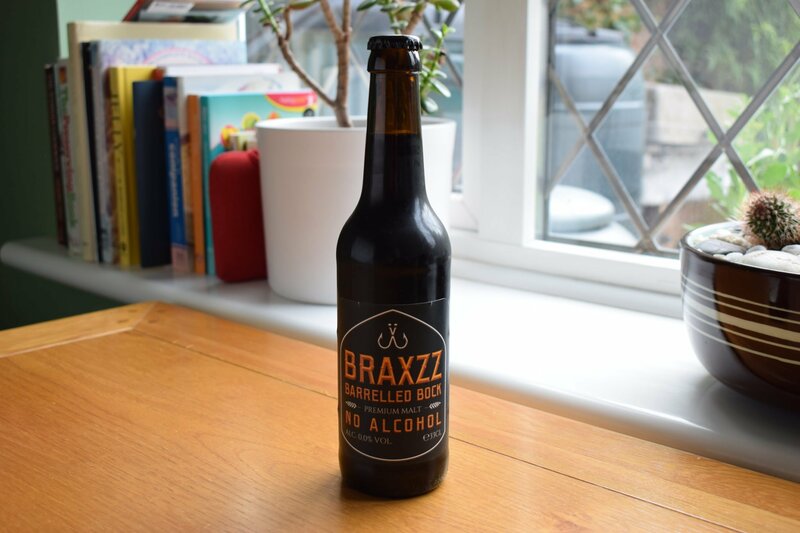 Braxzz’s ingredients include water, barley malt extract, hop extracts and – unusually for a bock – honey. There’s also natural flavourings and pectin, a gelling agent commonly uses in jam. The “barrelled” element refers to the taste the brewers aim to achieve, rather than any part of the production process. There’s little carbonation when you crack open the bottle and a small head of foam disappears quickly. 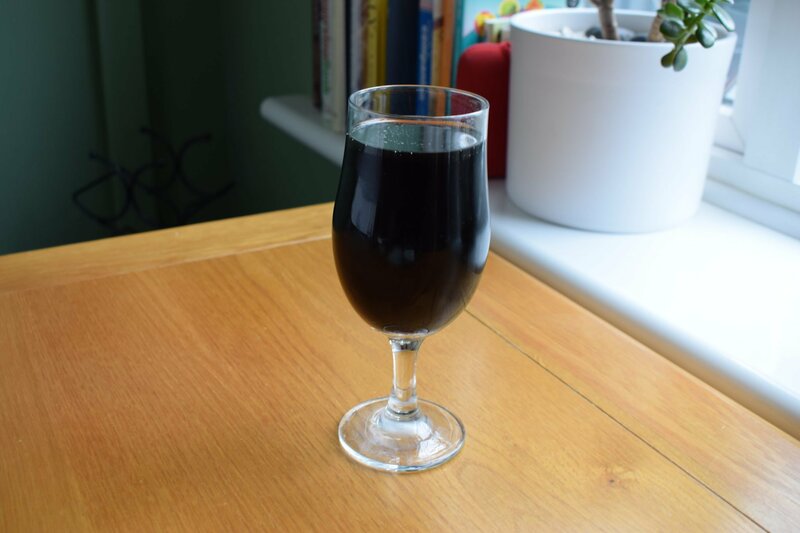 The beer looks like a stout or porter – jet black with a tinge of dark caramel where the light is allowed to infiltrate around the sides of the glass. Any bubbles camouflage themselves in the inkiness. Dark malts are the main feature of the aroma, which is superb. There’s also cocoa, which morphs to coffee as the beer warms. The honey is prominent too, giving the aroma a sweet and comforting quality. The mouthfeel is also good, with a medium body that mimics a medium-ABV stout. The carbonation is low, which creates a perception of it being a little flat when partnered with the lack of bubbles you see when you’re sipping it. There is a slight tingle on the tongue though. Although some roasted malts are in the flavour, it’s the honey that dominates the taste with only a little of the cocoa and coffee making it past the aroma. The honey flavours feel warming down your throat after a few sips, but its sweetness – presumably there because any sugar in the honey isn’t fermented at any point in the production process – becomes a little overpowering. There’s only a dash of bitterness from the dark malts and hop extracts, highlighting the sweetness even more. 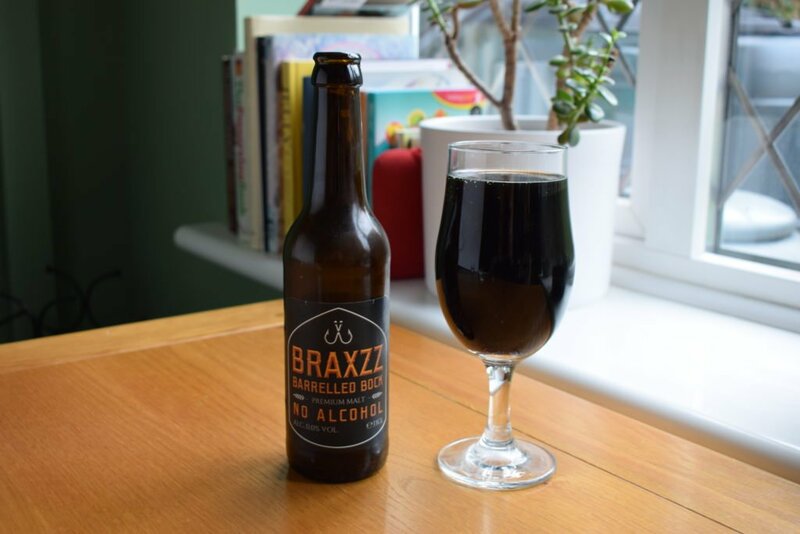 If you like your drinks sweet and like honey, you’ll probably enjoy Braxzz’s Barrelled Bock, especially if you like to sip on a dark beer on a cosy winter’s eve. I liked the sweetness in the aroma, but I found the sweetness in the taste a bit too overwhelming for the pace I drink. I’d have also preferred a bit more bitterness to balance out the sweetness and a little more fizz.